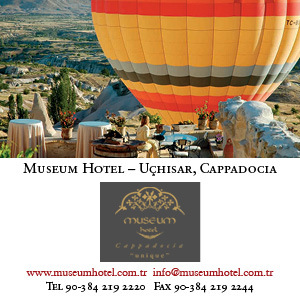 A pair of traditional 17th-century lath-and-plaster Ankara houses within the pedestrianised citadel, beautifully restored to provide eight good bedrooms with en-suite bathrooms. Ankara, when it became Turkey’s capital, was a very sleepy and provincial place, and it was chosen as capital chiefly because it was on the way to somewhere else. It had a railway station, one of the stopovers of the German-planned Berlin–Baghdad line, and its buffet served as the French Embassy. However, when his first Excellency put his head out of the swing doors, he contemplated a marsh, with some ruins on a hill; and, when the first British Excellency arrived, to have dinner with the President, he would have to pick his white-tied way through snow-drifts, being careful to avoid being eaten by a wolf or a Turkish feminist.